The Arctic Change 2017 Conference in Quebec City is quickly approaching. 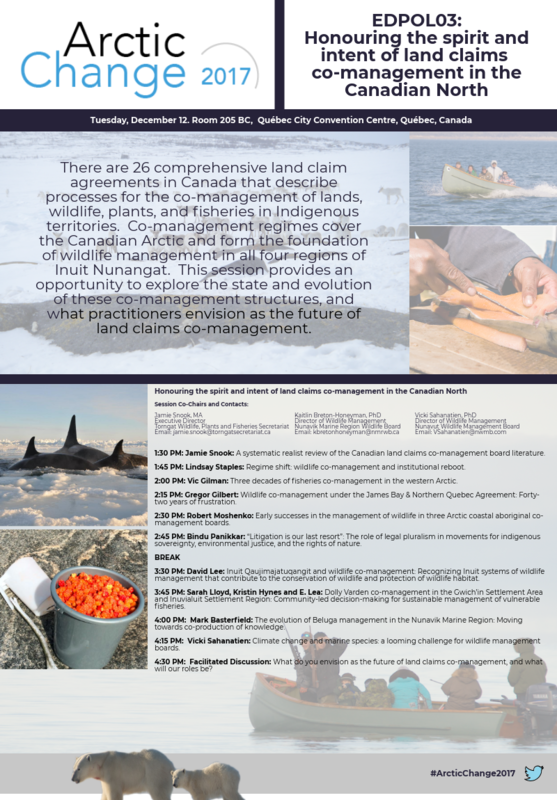 Myself, along with Kaitlin Breton-Honeyman, PhD (Nunavik Marine Region Wildlife Board) and Vicki Sahanatien, PhD (Nunavut Wildlife Management Board) will be co-chairing a special session (EDPOL03) on Honouring the spirit and intent of land claims co-management in the Canadian North. For a complete list of presenters, please download our Special Session Poster.